Washington, DC, May 30, 2010 - A highly confidential U.S. overture to Iran in summer 1999 foundered because the intelligence community and FBI believed members of Iran’s Revolutionary Guards (IRGC) had a role in the infamous Khobar Towers bombing of June 1996, and because U.S. officials overestimated the Iranian president’s ability to manage the sensitive matter of U.S. relations within Iran’s power structure, according to newly declassified documents. The new documents, including President Bill Clinton’s message to Iranian President Mohammad Khatami and Tehran’s response, highlight the complexities facing current U.S. policy-makers in their ongoing approaches to the Islamic Republic, particularly the challenge of balancing closer ties to Tehran with concerns over allegations of past support for terrorist groups. Those concerns led the Clinton administration – notwithstanding the president’s personal interest in a rapprochement with Tehran – to order updated contingency plans for military strikes against Iranian targets. The National Security Archive received the previously Top Secret correspondence from the William J. Clinton Library in response to a Freedom of Information Act request. 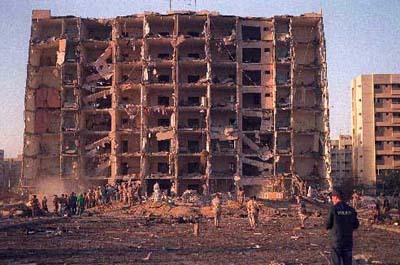 The June 25, 1996, Khobar Towers bombing destroyed a U.S. Air Force barracks outside Dhahran, Saudi Arabia, killing 19 servicemen and wounding almost 400 others. A small terrorist entity known as Saudi Hezbollah was blamed for the attack, but FBI and other U.S. counterterrorism officials soon concluded the IRGC had played a role in selecting the target and training the perpetrators. (Note 1) However, for at least two years the Saudi government rebuffed U.S. demands for access to critical evidence it had collected from interrogating suspects in Saudi custody. 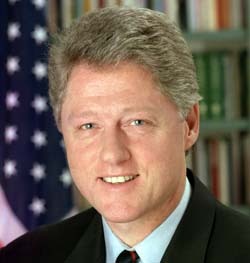 According to Clinton administration officials, (Note 2) the absence of solid proof that could withstand legal scrutiny and U.S. public opinion led the president to opt not to retaliate directly against Iran (although he did order CENTCOM to revise its strike options, telling his advisers, “I don’t want any pissant half-measures”). (Note 3) When the Saudis finally relented and turned over their evidence, the reform-oriented Khatami, who apparently had not been aware of the plot, had already assumed the presidency and the White House decided that military reprisals at that point would undermine the larger objective of establishing a diplomatic opening to Tehran. 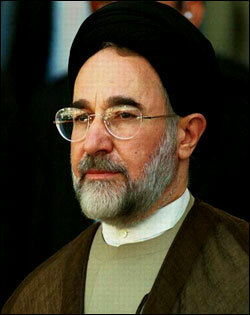 As a kind of compromise, the Clinton administration chose instead to send a letter to Khatami that indicated Washington now had direct evidence of IRGC involvement in the Khobar attacks, insisted that Tehran bring to justice those responsible (either in Iran or Saudi Arabia), and sought Khatami’s help in ending Iranian support for terrorism. Yet, the message also stated that the United States wanted to work toward better relations with Iran and noted the attack had not occurred on Khatami’s watch but before his election. According to published accounts and Clinton administration officials, the letter was transmitted in June 1999 to the Sultan of Oman whose foreign minister was asked to meet with Khatami and frame the presentation with statements of respect from Clinton and expressions of a genuine desire for improved ties. 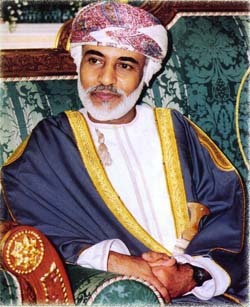 Two senior envoys, (Assistant Secretary of State for the Near East Martin Indyk and Special Assistant to the President and Senior Director for Near East and South Asia affairs in the National Security Council Bruce Riedel), delivered the letter to Sultan Qaboos bin Said al Said and Foreign Minister Yousef bin Alawi at the Sultan’s chateau near Paris. Several weeks later, on July 20, Alawi finally met with Khatami and turned over the communication to him. The Iranian president’s reaction was reportedly positive. However, when he discussed the new development with Supreme Leader Ali Khamenei and other senior officials, he faced a barrage of objections to both the nature and tone of the U.S. demands. (See Document 4). The official Iranian response (Document 3), delivered to the Americans in early September, was brusque, mirroring the language and tenor of the American letter, and making it clear that Iran’s ruling elite had no intention of pursuing a rapprochement with Washington under those circumstances. The documents released to the National Security Archive by the Clinton Library are important additions to the public record on the turbulent history of U.S.-Iran relations. It is known that both governments at different times in recent years have tried to signal their interest in closer ties. But either international events or domestic opposition have conspired to scuttle every overture. One interesting aspect of the Khobar case is that Iran’s possible motives for such a brazen assault on U.S. interests were unclear to many observers at the time. U.S. intelligence had picked up signals of increased Iranian covert activities during the lead-up to the attack, including the purported monitoring of potential U.S. targets. But then-President Akbar Hashemi Rafsanjani had also been seen as far more pragmatic than his predecessors, having personally taken steps such as helping to free American hostages in order to signal his positive intentions to the administration of President George H.W. Bush. But the surprising eruption of political discord within Iran’s ruling circles since the presidential elections of June 2009, prompted in part by the Revolutionary Guards’ rise as a leading power-broker, add to the likelihood that divisions among the elite were already underway in the 1990s, in the wake of Ayatollah Ruhollah Khomeini’s death in 1989. It even raises the question whether it is possible that elements of the IRGC, or perhaps from another branch of the regime such as the Ministry of Information, might have taken it on themselves to participate in a dramatic attack against an American military target – in fact, the most serious of its kind since the Marine barracks bombing in Beirut of October 1983. The June 1999 Clinton letter itself is also striking in at least one respect – the severity of its language – given that one of its objectives was also to follow up the Iranian president’s call for a dialogue among civilizations. After years of pent-up frustration over the uncertainties surrounding Khobar, the tone may be understandable. And according to U.S. officials involved in the overture, Khatami’s initial positive reaction indicates that the message of reconciliation in fact came through as intended. But the American side appears to have miscalculated Khatami’s ability to take over the reins of this process on his own, without having to take account of the views of other key Iranian leaders. Given that conception, it was reasonable to expect that the rough edges of the letter could be smoothed over by the positive verbal message to be delivered by the Omani foreign minister. But since Khatami felt obligated to consult with other members of the leadership, any benefit from the Omani minister’s spoken words was undoubtedly lost in translation. The White House immediately shut down the Omani channel after receiving Iran’s reply, but it was not the last time the Clinton administration put out feelers to Tehran. However, for a variety of reasons none of these attempts produced the hoped for result. Along the way, lessons began to emerge. Martin Indyk, for example, acknowledged that it was a mistake to believe that Khatami could be dealt with in isolation from the rest of Iran’s political leaders. (Note 4) Judging from news reports, the Obama administration has tried to learn from the hard experience of its predecessors – making a point, for example, to address not just the country’s president but also the Supreme Leader directly in its secret communications, and attempting not to set preconditions for talks. The first four documents below are presented as they were released to the National Security Archive by the Clinton Library. The final document is the federal indictment relating to the Khobar bombing issued during the George W. Bush administration. Document 1: Memorandum from Ken Pollack through Bruce Riedel to Samuel R. Berger, “Iranian Response on al-Khobar,” September 15, 1999. Document 2: “Message to President Khatami from President Clinton,” undated, circa June 1999. At the heart of the recent FOIA release, the Clinton letter focuses primarily on the fact that evidence exists pinning blame for the Khobar bombing on members of the IRGC. Although some accounts treat this Clinton initiative as an attempt to open a dialogue (with a verbal message delivered through the Omani foreign minister to confirm U.S. interest), the general thrust of the letter itself – which is all that Khatami’s leadership colleagues saw – is that no improvement in relations could occur without Iran taking certain steps in the area of curbing terrorism. In other words, it appeared to lay down preconditions for any future talks – not unreasonable from the U.S. domestic political perspective but a virtual non-starter for negotiations, according to numerous Iran experts. Document 3: Iranian Response to Clinton Letter, undated, early September 1999. U.S. officials had intended that Khatami be the only audience for the Clinton letter and accompanying verbal message from the Omani foreign minister. But Iranian political conditions and decision-making practices dictated a coordinated response from the leadership. Therefore, the reform-minded president immediately raised the Clinton signal with Supreme Leader Ali Khamenei and other political leaders. Their joint reply, reproduced here, rejects the U.S. allegations about Khobar as “inaccurate and unacceptable,” and tries to turn the tables on the Americans by demanding that Washington cease its support for unnamed “terrorist elements … with irrefutable records of crimes against the Iranian people.” The text closely mirrors the language of the American letter, sometimes using the same phraseology (“in the gravest terms,” for instance). Interestingly, like the Clinton message, it includes statements that are less confrontational and even positive in their tone. It closes with a self-conscious assertion about the confidence of the Iranian government and about its intention to “vigorously pursue” détente and the rule of law. This two-part e-mail message forwards a lengthy article from the Kuwaiti newspaper al-Watan describing what purports to be inside discussion in Tehran’s leadership circles about the Clinton message to Khatami. The article cites Iranian sources to depict hotly contested points of view among various key individuals, such as Akbar Hashemi Rafsanjani. It is interesting that the White House Situation Room identified the article (translated by the Foreign Broadcast Information Service) and tagged it for distribution to interested NSC staff members, implying the view that the article appeared to be authoritative to U.S. officials. It is also interesting that the article seems to invent another channel of messages between Washington and Tehran in addition to the Omani channel using diplomats in New York. Document 5: Indictment of Defendants in the Khobar Towers Bombing, U.S. District Court, Eastern District of Virginia, June 21, 2001. The Clinton administration came under enormous pressure, notably from FBI Director Louis J. Freeh, to take action against Iran for the Khobar bombing based on intelligence picked up by U.S. agencies. However, until the Saudis unveiled the detailed results of their interrogations of Saudi Hezbollah suspects, Clinton and his national security advisor, Sandy Berger, believed an especially dramatic response would not have sufficient legal or public support. When George W. Bush entered the White House, a different attitude prevailed that included placing a far lower premium initially on developing ties with Tehran. The indictment produced by the Bush Justice Department, which named 13 Saudis and one unidentified Lebanese, was hailed by the administration as a blow against international terrorism but it failed to satisfy many observers (and family members of the victims) because it omitted any charges against Iranian officials, incorporating only general references to their role. The indictment was handed down just prior to the 5th anniversary of the bombing, during Freeh’s final week in office. *. This sentence was revised on August 31, 2015, to clarify that IRGC culpability for Khobar had not been definitively established as of the date of the posting. 2. For accounts by several former Clinton administration officials, see Martin Indyk, Innocent Abroad: An Intimate Account of American Peace Diplomacy in the Middle East (New York, Simon & Schuster, 2009), Kenneth M. Pollack, The Persian Puzzle: The Conflict between Iran and America (New York: Random House, 2005), Louis J. Freeh, My FBI: Bringing Down the Mafia, Investigating Bill Clinton, and Fighting the War on Terror (New York: St. Martin’s Press, 2005), and Richard A. Clarke, Against All Enemies: Inside America’s War on Terror (New York: Free Press, 2004). 3. Clarke, op. cit., p. 118. 4. Barbara Slavin, Bitter Friends, Bosom Enemies: Iran, the U.S., and the Twisted Path to Confrontation (New York: St. Martin’s Press, 2007), p. 190.